Get out to #FeedTheStreets this Saturday at Hudson Hill Park! 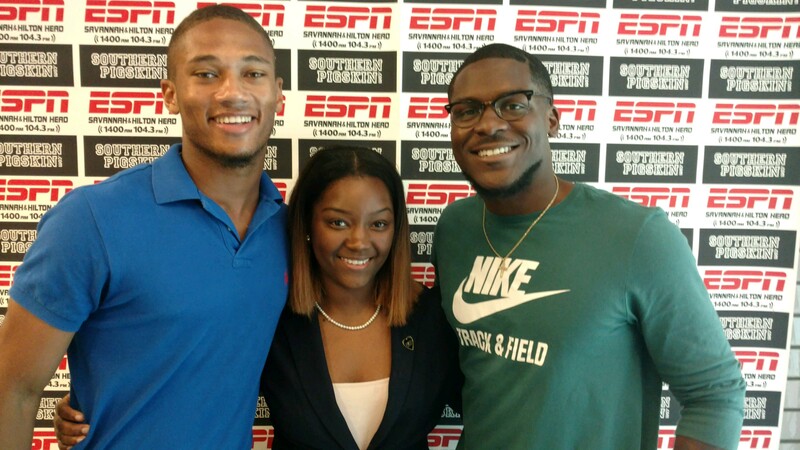 “Get Going” is the combined vision, turned reality, of three of Savannah’s brightest stars: Javonte Middleton (Jenkins High, The Citadel), Kendall Walker (Feed The Streets), and Faith Gilliard (Miss Georgia ADP ’18, Miss Southeast ’17, Savannah State University). Taking place on July 21st from 4pm-7pm at Hudson Hill Park, the event is focused around a “Pack the Trunk” theme. Attendees are asked to bring any new items that would help set up Savannah area high school graduates for success as they head off to college. The event will not be accepting cash donations, but asks that you focus your generosity on items that will assist in these student’s transition into higher learning. Live music and a 3-on-3 basketball tournament will provide plenty of entertainment! If you wish to sign up for the basketball tournament, you are asked to bring new or lightly used SCCPSS uniforms as your entry fee. Walk-up registration will be from 4-4:30. Get out to Hudson Hill Park July 21st to help send Javonte Middleton off in style! Come support your community and local students!